Delroy “Junior” Reid (born 6 June 1963) is a Jamaican reggae and dancehall musician, best known for the songs “One Blood” and “This Is Why I’m Hot”, as well as being the man that was the lead vocalist for Black Uhuru on three albums Brutal, Positive and Black Uhuru Live in New York. Reid was born in the Kingston, Jamaica, and had a tough upbringing in the city’s Waterhouse district, notorious for being one of the most dangerous places in Jamaica. It was there in the politically turbulent late ’70s that he recorded his first-ever single “Speak the Truth” at the age of 13 for the late Hugh Mundell, released in Jamaica on Augustus Pablo’s Rockers International label, and popular as an import single in the United Kingdom. UK label Greensleeves Records followed this with “Know Myself” in 1981. He then went on to form his own band, the Voice of Progress, and after a local hit with “Mini-Bus Driver” the group scored local success with an album of the same name. By the early ’80s, commissioned by the great Sugar Minott to record a number of tunes on Minott’s Youth Promotion label, enjoying considerable popularity with tracks such as “Human Nature” (produced by Junior Reid), “A1 Lover” (produced by Sugar Minnott), and the evergreen “Foreign Mind”, an uplifting and proud statement which became an anthem to the ghetto youth whom Reid increasingly championed. He transferred his talents to King Jammy’s studio on St. Lucia Road where his fast-growing success rose yet another notch. “Boom Shacka Lacka” was his first UK hit and led to another exceptional album. After a number of fine singles – which included “Youthman”, “Bank Clerk”, “Sufferation”, “Give Thanks and Praises” and “Higgler Move”. Reid then launched his label “Jr Productions” with his first single “Settle Down” by Barrington Levy. 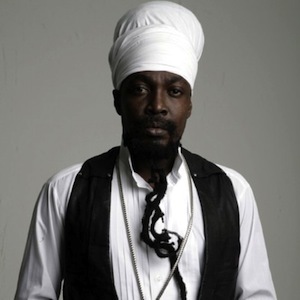 His opportunity to then reach a wider international audience came with the offer to be the lead singer in Black Uhuru. Always a strong follower of Black Uhuru, and with a similar vocal style, Reid took the group to another level. Three of the singles he did with Black Uhuru “Pain”, “Nah Get Rich and Switch”, and “Let us Pray” were released on Junior Reid’s label JR Productions. The collaboration on his first Black Uhuru album, the Grammy-nominated Brutal, in 1986, was well received by all and during the time he was with Black Uhuru they toured Europe, the UK, The USA, Canada and Bermuda. Two years and three albums later, Junior’s interest to produce material for himself, and desire to regain his domestic popularity, drove him into the solo arena and into his own studio (One Blood Recording Studio), as well as focusing on his own label JR Productions. Reid had a number 21 hit in the UK in 1988 with the collaboration with Coldcut, “Stop This Crazy Thing”. He had an even bigger hit in 1990, with “I’m Free”, recorded with The Soup Dragons, reaching number 5. Meanwhile, 1989’s “One Blood” saw him re-established at the forefront of the reggae scene. “One Blood” became an anthem for unity in America and around the world. According to Rolling Stone magazine (May 7, 2013), the lyrics of “One Blood” were the source of the album title for Vampire Weekend’s third release, Modern Vampires of the City. As a producer, Reid has his own production company; JR Productions. He produced two songs on Snow’s second album, Murder Love, released in 1995. Reid has collaborated and produced for Dancehall artist Ninjaman, on many occasions since the early 1990s. He has also produced for Mighty Diamond, Big Youth, Dennis Brown and Gregory Isaacs. He produced all of this work in his own recording studio, which he opened in 1988. His vocals have been used in the hip hop scene, which debuted as a collaboration on the songs “One Blood Under W” and “Jah World” from The W album by the Wu-Tang Clan, which was released on 21 November 2000. His next collaboration with Guru on the song “Mashing Up the World” on the album “Jaz Mattaz”. In 2006, he collaborated with West Coast hip hop artist Game on the song “It’s Okay (One Blood)”; The song also samples Reid’s 1989 single “One Blood”. The song hit the top of the billboards and it was also included in the video game Def Jam: Icon for the Xbox 360 and the PlayStation 3. The song was then remixed again and the official remix was released on November 7, 2006. It features 25 hip-hop artists including The Game. On 18 November 2007, Reid performed alongside Alicia Keys at the 2007 American Music Awards. Reid is also featured on a remix version of Alicia Keys’ single “No One”. He also did a song with Lil Wayne called “Ghetto Youths Rock”. In 2008, Reid was featured on Bun B’s song “If It Was Up II Me” off his album II Trill. In 2011, Junior Reid teamed up with Ludacris, T-Pain, Busta Rhymes, Mavado, Bun B, Game, Twista, Jadakiss, Waka Flocka Flame, Fat Joe, Ace Hood & Birdman in the remix of Dj Khaled’s “Welcome To My Hood”. “Welcome To My Hood” (featuring Rick Ross, Lil Wayne & Plies) is the lead single of Dj Khaled’s 5th studio album We The Best Forever. In May 2013 Reid performed as a headliner at the Reggae On the Hills festival in Barbados. The festival was well attended with over 60,000 people in attendance, the largest crowd in their history, and Junior Reid’s appearance was in wide anticipation. His most recent singles are “Sharing the Night Together”, “Never Let you Go”, “Same Boat” and are being played widely in Jamaica and across the world. He released a mixtape in May 2013 called Kingston Firehouse which is leading up to his album Junior Reid Living Legend. Reid’s son, also named Junior, has followed him into a career in music, working under the name Juju Blood.